As I continue on my search for great Yucatecan microbrews I came upon three more breweries. Although each brewery is distinct and has their own story and vision, they all have one thing in common—passion. , is why I love to interview and speak to people who are working with what they love and making their dreams a reality. They have a constant curiosity and passion to learn more, to create a better product and to enrich their lives and the consumers. Rodrigo Loeza first fell in love with the process of making beer while he was studying Industrial Engineering at the university in Monterrey. He visited the Sierra Madre Brewing Company and was inspired by the flavorful craft beers that were made right there on the premises. Then on an excursion for school, he went to Cuauhtémoc Moctezuma Brewery company and was amazed at how the four ingredients—hops, malta, water, and yeast—could come together to make such a diverse and historical drink. In 2014, he tried his hand at craft brew for the first time. His curiosity leads him to begin home brewing starting with a wheat beer he called Cazadora. During that time, he frequented a bar that specialized in microbrews called Malta. This bar no longer exists now, but it was the first bar to offer microbrews and all local beer lovers would gather there and try new brews. He asked if they would like to try his beer. The owners of Malta agreed and were really impressed. They started selling Cazadora and it was a favorite in the budding microbrew scene. He then went on to brew a brown ale he calls El Jefe, and an extra pale ale he calls Gitana. 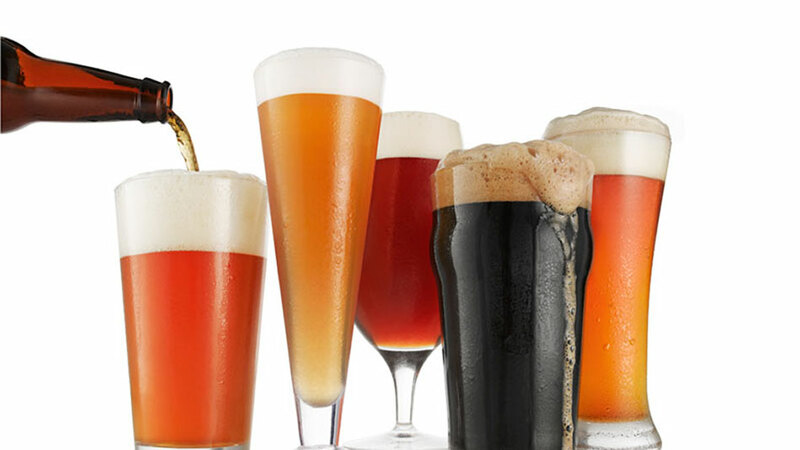 As a new business owner, he soon realized that in the business of craft beer it is very difficult to make a profit because of the imported ingredients, the high taxes, and the middleman distributor. He decided to try to open his own restaurant and offer his beer on tap. That was his idea when opening La Linda Merida which is a restaurant and tap room. He asked Bea Ancona and Ovidio Suarez from Cuerno del Toro to join him in his restaurant venture and now they are also partners in La Linda Merida of the Centro. You can find three or four beers on tap at La Linda Merida as well as a wide variety of bottled craft beers from several microbreweries in Yucatan and Mexico. If you haven’t stopped my La Linda Merida to try their tap selection, it should be on your to-do list! I first tried Cuerno del Toro at a Club Sibarita beer tasting event. Their oatmeal stout was featured in the tasting and it was quite a hit among the guests. It is a full bodied stout with a touch of chocolate that reminded me of curling up by the Christmas tree during the holiday season. Cuerno del Toro is a small brewery founded in 2015 by a young husband and wife team Bea Beatriz Ancona and Ovidio Suárez. They started out as many brewers do, in an extra room in their house with a big pot to try their hand at brewing beer. Both Bea, a trained chef, and Ovidio, a cattle rancher from Tabasco, are avid craft beer lovers and wanted to try to make a quality product they could call their own. Their beers have been widely accepted by the local beer enthusiast and soon they became a medium sized business and expanded their brewery to a warehouse in Conkal producing 800 liters monthly. They were nice enough to take me out to their brewery in Conkal where they spend a couple of days a week brewing beer. Their ingenuity impressed me. They have created their own bottle sanitizer, and have welded tools to use in the brewing process. They label each bottle by hand, one by one, and are both enamored with the process. They call their brand Cuerno del Toro (Bullhorn) in homage to Ovidio’s roots of being part of a family of cattle ranchers. Their three main beers are Oatmeal Sweet Stout, Imperial Red Ale and Mexican IPA. Recently they have joined teams with Ciudad Blanca at La Linda Merida Restaurant and you can find their stout beer on tap there as well as their other brews in bottles. You can also try them at various restaurants in town including Hop 3 (Casa Dominga), Taninos and La Negrita or you can get their bottles at craft beer stores: Raices, Beer box and Beer Company. Definitely, a brewery to put on the must-try list! Patito started in 2014 with the idea to make craft beers of excellence and reclaim the grand beer culture that was lost when La Gran Cerveceria, left Yucatan. Their founders travelled the world to learn about high caliber craft beers and have brought that knowledge back to Yucatan. They are the biggest microbrewery in Yucatan and can produce 19,000 liters. The word patito in Spanish means little duck; however, in Mexico it has a colloquial meaning of a cheap knock-off without quality. The brewery Patito decided to use this name as a rebellious statement. They wanted to prove that their small brewery could become something great and offer a great product. That sometimes from the humblest of endeavors emerges an exceptional product. They give a new perspective about beer and aspire to surprise their consumers so that when they hear the word patito instead of thinking about a cheap product, they relate it with a product of high quality. David Ortiz gave us a tour of the brewery which was quite impressive and also has tours open to the public. Be sure to make a reservation first. Patito offers 8 styles of beer and every three or four months they come out with a different special edition. They have three beers available in cans—which is the next best thing to a tap: Pilsner, Belgium Blond and India Pale ale. On tap in their taproom and in their restaurant Hermana Republica and Bela Chela they also have American Pale Ale, Dry Stout, Heffe Wizenbier, Helles, Porter Vainilla, Indian Brown Ale. You can buy Patito in most grocery stores and restaurants all over the Yucatan Peninsula. This is definitely an up and coming Yucatecan brewery to check out.